If there’s one thing someone must do on a Sunday, it’s brunch. 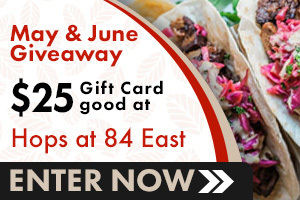 And Hops at 84 East in Holland not only does brunch, but does it well. 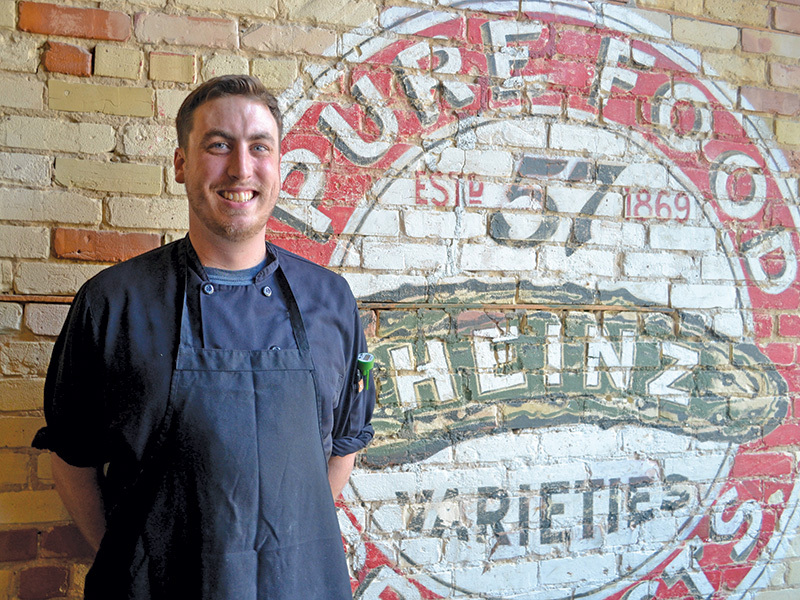 Hops debuted in 2014, when Fitzharris and Jim and Sharon Diesing combined their two downtown Holland mainstay restaurants, 84 East Food & Spirits and Froggy’s. Altogether, the space shares 25 years of history, dating to 1993. The restaurant and award-winning craft-beer bar reveals the detailed history along its brick-covered walls. 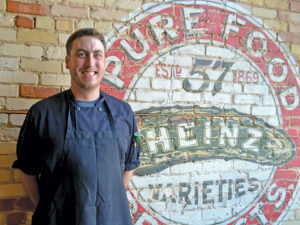 “We wanted to keep it local, keep it comfortable and make it look like it’s been here for a long time, which it has,” Fitzharris said. Locally reclaimed wood can be seen throughout the restaurant, including the bar, which was made from pickle vats at Kraft Heinz in Holland. As for cuisine, Hops uses high-quality, local ingredients, allowing staff to get creative with menu items for every season. And with specialty brunch items like The Bennie, The Phoenix, Chicken & Waffles, Brisket Hash and The Brunch Pizza, it’s hard to pick a favorite. Vibrant and creative cocktails also make a splash across Hops’ brunch menu, including a Beermosa, made with Bell’s Oberon Ale, orange juice and prosecco; and a Prosecco Ice Cube, made with fresh-squeezed orange juice. 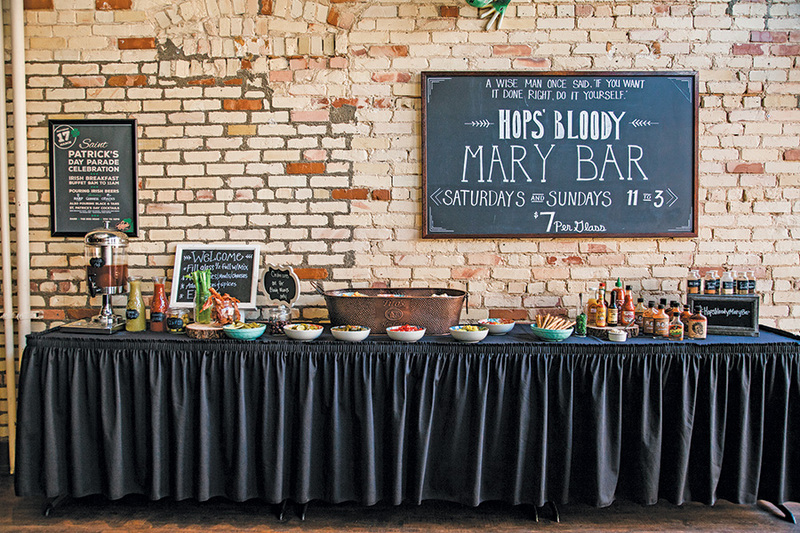 On both Saturdays and Sundays, customers can even make their own boozy concoctions with Hops’ bloody mary bar. Aside from brunch, Hops is known for its famous brick-oven pizzas and handcrafted entrees, as well as its extensive craft beer list — 62 taps, to be exact — which rotates daily, in addition to four liquor taps, one nitro coffee tap and eight taps dedicated to wine.